This metal sign holder features a silver color scheme to create a sleek design. 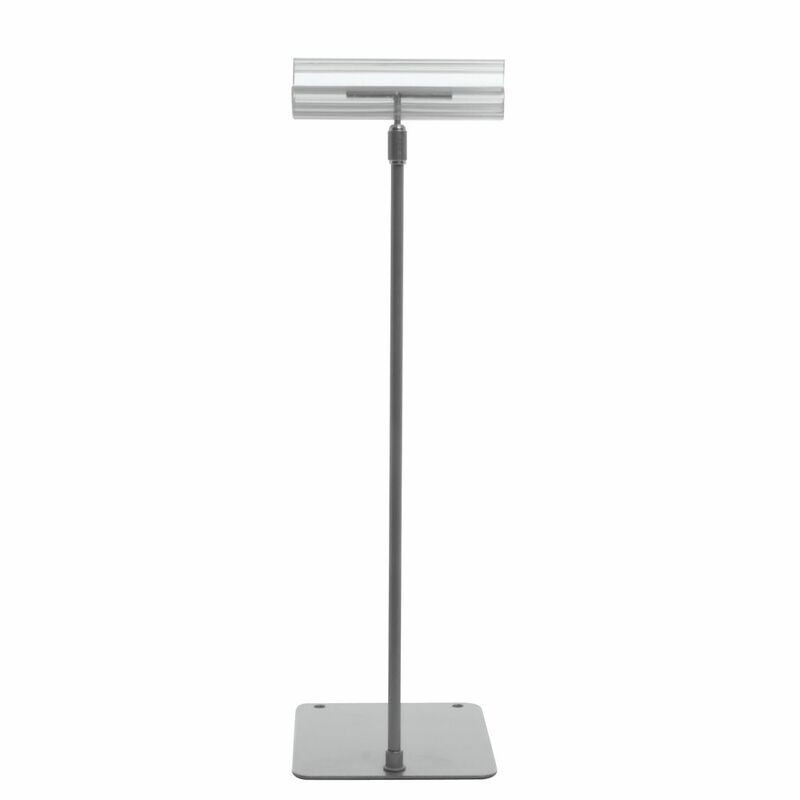 The displayer is constructed from aluminum for durability. This metal sign holder has a telescopic stem to allow customers the option to adjust height as needed. The displayer is double sided for more angles of viewing labels. This metal sign holder is great for restaurant, bar, and buffet use.